One Garden Window: approx. 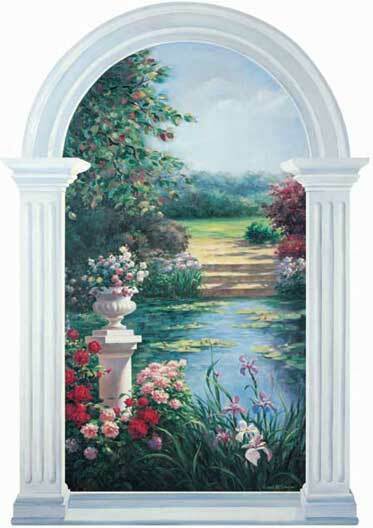 size: w 4'4"x h 6'2"
"Serene" describes this classically framed window overlooking a lilypond and colorful garden. Painted in trompe l'oeil (deceive the eye) style, this beautifully rendered art reproduction will be an instant conversation piece. 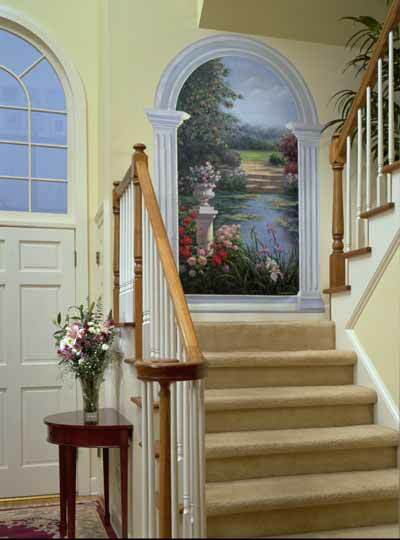 Put the mural wherever you would like to add dramatic interest to your decor. Try the decorating ideas suggested in the illustrated Creative Ideas sheet which is included with each mural.